In an exclusive news report yesterday afternoon by the Hudson County View, Beth Mason's long time intimate political associate and friend Lane Bajardi is alleged posting vicious anti-Semitic attacks online in Hoboken against Mayor Dawn Zimmer and her family. The comments made in 2009 came under two admitted screen names on NJ.com in a deposition Lane Bajardi gave last July in his $2,000,000 defamation case filed by him and his wife, Kimberly Cardinal Bajardi against almost a dozen online Hoboken commenters. The comments, part of publicly available legal documents in Hudson Superior Court were filed in the case Bajardi v Pincus last September with a certification by the mayor's husband Stan Grossbard who owns a diamond business. 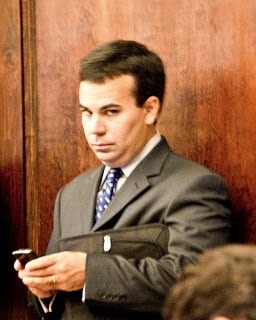 The comments were alleged posted on the NJ.com Hoboken forum when Lane Bajardi was active in Beth Mason's internet strategy and blogging team, part of his senior political advisor role to advance her political career over years and during her 2009 mayoral campaigns. "We did discuss it last fall and again recently. You, Lane, Kim.... are it for now until we have a formal "message" that we can give people. Beth is concerned that in the heat of things random blogging gets off message." On February 28th, 2009 Lane Bajardi wrote directly in an email to Beth Mason about he and his wife, Kimberly Cardinal Bajardi on the topic of internet and message strategy for her mayoral campaign. The following is an unedited, complete top portion of his email: bold emphasis added. compeletly honest about what I see, even if it is not pretty. of the loop on key issues as we are. time, but more importantly a waste of YOUR CAMPAIGN'S TIME. not instill confidence in those who witnessed it. Earlier on that same day, Beth Mason ordered campaign emails on the subject of her internet strategy to cease, expressing concern the campaign communications were becoming too widespread among her staff. Among those listed she sent the "Internet Strategy" email are James Barracato and both Lane Bajardi and Kimberly Cardinal Bajardi. 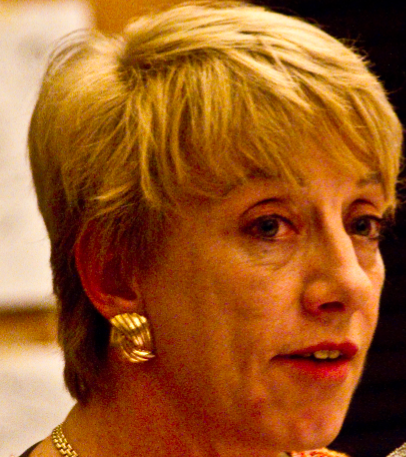 The alleged anti-Semitic remarks followed in April and August 2009 during two failed Beth Mason attempts to become Hoboken mayor in the May and November elections. in a news story yesterday on the Hudson County View. The screen name blooddiamonds was responding to a comment by this editor under its well known public moniker "hobokenhorse" about the City of Hoboken being close to having a successful bidder buy and save the local hospital - Hoboken University Medical Center. The screen name blooddiamonds posted dozens if not hundreds of posts attacking the mayor in a similar vein some observers view as less than veiled anti-Semitic comments within the context of Hoboken politics. It's unclear from the emails obtained in the Bajardi v Pincus litigation who actually posted under that screen name.